and there is no better place than a boutique to help her achieve that. that allows them to connect, collaborate, learn, grow and tell their story! We live each day to serve those two sides of the boutique industry. To help consumers find their favorite boutiques around the world, and to help boutique owners, small brands, designers, service providers and fashion influencers come together to connect, collaborate, learn & grow. Or in formal terms, The Boutique Hub is a multi-faceted digital media community, spreading the love of boutique fashion while connecting the industry behind it. Our #BoutiqueStyle platform curates the best in all styles of boutique fashion around the world daily to share directly with consumers, and allows them to find a boutiques to follow and shop directly. The #BoutiqueBusiness platform connects the boutique industry of boutique owners, brands, designers and influencers to connect, collaborate, learn, and find the tools and resources they need to grow their business. We are so honored to serve women who simply want to look and feel beautiful by finding a boutique that ‘get’s them’, while also connecting thousands of boutique owners and fashion-industry members behind the scenes to connect, collaborate and grow their businesses. We drink lots of coffee, and LOVE what we do. Once upon a time, boutiques were elusive creatures that were difficult to find online. That’s when our Founder Ashley Alderson first started The Hub based on her desire to shop boutiques around the world, regardless of her rural location. Hailing from North Dakota where her nearest shopping opportunity was over 300 miles away, she longed for a place online she could go to find and shop the boutiques she loved together in one place. What happened next was pretty exciting. Once launched, Ashley’s formal background in small business development and marketing began to foster a deeper community at the Hub. 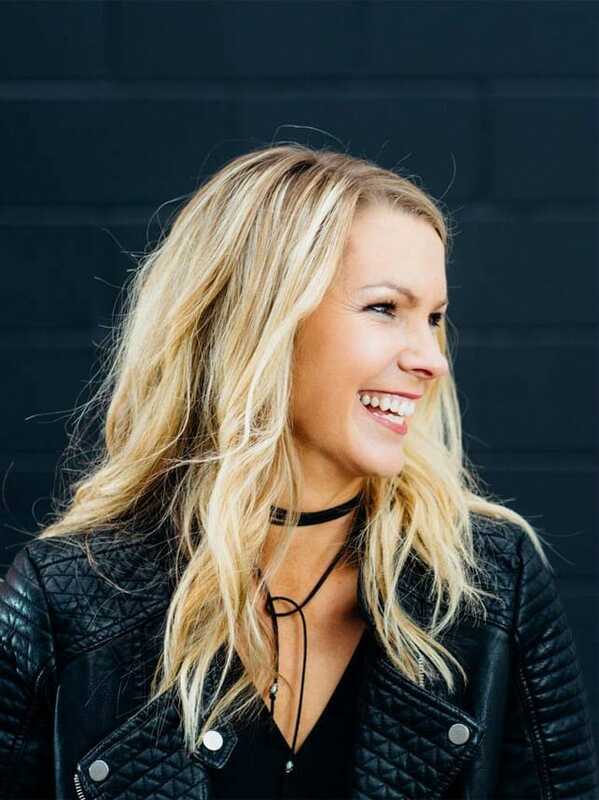 Ashley noticed that these owners she featured needed a greater voice in fashion, specialized coaching and training, and a central point to connect, collaborate, share tips and find tools to grow their businesses. Today, Ashley passionately leads The Hub and it’s two sides of its platform, while still coaching and mentoring many boutique owners, and being an advocate for small businesses in fashion. She is a wife, busy momma of 3, jewelry junkie, barrel racer, cancer survivor, speaker of sarcasm, and heart for those with a dream. Beth is a longtime supporter of boutiques and small communities, which is why she is a perfect fit for her position. As one of the Hub's ``OG's``, Beth has seen it all & is the glitter glue that keeps it all together. This girl loves working behind the scenes, but when she isn't, you may see her breaking out into dance, drinking a margarita, or asleep if it's after 9pm. Ben Holmen builds the digital tools that keep the Hub infrastructure running smoothly and is consistently making updates to the Hub website. When he’s not writing code you can find him hiking and biking the midwest. For over three decades, Ed Olvera has dedicated his career to working in nearly every aspect of retail — from working in stock rooms, on selling floors, and in buying, to tackling planning, merchandising, marketing, and staying ahead of fashion trends, he’s done it all. Ed’s varied experience in the world of retail, coupled with his passion for forging lifelong connections with clients have allowed him to garner a deep understanding of the ins and outs of the boutique business. He's excited to be on our team! Jessie is a rancher, western fashion influencer, and serves as Project Manager for The Hub. She spends her days curating fresh content for our website, directing new projects, and occasionally takes over our InstaStories for some fun live-feeds when she's out shopping her favorite boutiques. When she’s not busy working for The Hub, you’ll find her horseback, at Starbucks or practicing her golf game. Kate has previously owned several online shops and has a strong appreciation of the boutique industry. She is passionate about all things creative and absolutely loves helping other like-minded individuals succeed. With her strong marketing background, Kate manages all digital resources at the Hub to help connect the boutique industry and grow small businesses. When she's not busy hustling for the Hub, Kate is being a mom/chauffeur to her three young boys and hopefully spending some time at the beach. Is a creative writer and content creator who has spent 10+ years in the fashion industry as a runway and print model. Her background in communications and marketing, along with her modeling experience fits perfectly with her role creating and managing content as Style Editor at The Boutique Hub. Meredith is the style savvy college intern who loves earthy boho fashion and great vintage finds. She is studying apparel design and development, so her passions are appreciated at The Hub. You’ll find Meredith helping with everything involving the podcast, writing weekly style blogs, or helping with style stories for the blogs and social media. Kelly is the magical beancounter of the group! Responsible for all things accounting related, she keeps tabs on customer payments and issues, processes all internal Accounting items, and keeps everyone organized so the ship keeps sailing! As a former fashion consultant, she’s excited to complete the full circle of business operations. Whether you are a busy #BoutiqueBoss, designer, apparel brand, influencer or service provider, we’re ready to help you grow your business and connect with others in the industry.